A workshop on how to establish an Advance Passenger Information (API) system in Georgia, aimed at detecting and preventing the movement of foreign terrorist fighters (FTFs), was organized by the OSCE Transnational Threats Department’s Border Security and Management Unit (TNTD/BSMU) in Tbilisi from 17 to 19 April. The event brought together 45 representatives from all national agencies involved in passenger processing, including police and customs officials, the State Security Service, the Office of the Personal Data Protection Inspector, and the civil aviation authority. An API system is an electronic system through which biographical data from a traveller’s passport and flight details are collected by airlines and transmitted to the relevant national authorities at the border before the departure or arrival of a specific flight. API data has been increasingly used for border management purposes, particularly since the adoption of United Nations Security Council (UNSC) Resolution 2178 (2014), which makes the setting up of national API systems mandatory for all UN Member States. This obligation was further reinforced with the adoption of OSCE Ministerial Council Decision 6/16 (2016) and Amendment 26 to the International Civil Aviation Organization’s Chicago Convention (2017). 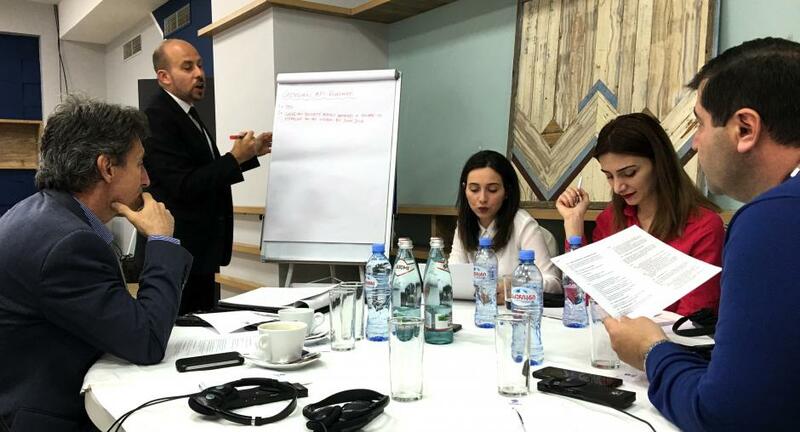 During the 2017 OSCE-wide Seminar on Passenger Data Exchange, the Georgian Revenue Service asked TNTD/BSMU to organize a workshop to provide national authorities with a good understanding of how API systems work and help them to identify technical assistance and financial opportunities available for their implementation. The purpose of the workshop was to draft a tailored action plan outlining the relevant technological and operational procedures for implementing a passenger data programme. The workshop was also attended by law enforcement officers from Australia, the Netherlands, Portugal, Slovenia, the United States, as well as commercial service providers and representatives from almost every airline flying in and out of Georgia, who shared their experience in implementing and using API systems. The workshop was held scarcely a week after the adoption, by the Georgian Government, of Decree no. 174, which sets out the necessary legal provisions authorizing national authorities to collect, store and process passenger data while fully respecting citizens’ right to privacy. This was the seventh workshop on API in the OSCE region organized since December 2016. TNTD/BSMU will conduct two more workshops in 2018, which will take place in Tashkent (Uzbekistan) from 19 to 21 June and Chisinau (Moldova) from 10 to 12 July.